This article is part of a series produced for TOYOTA. To view other articles, click here. 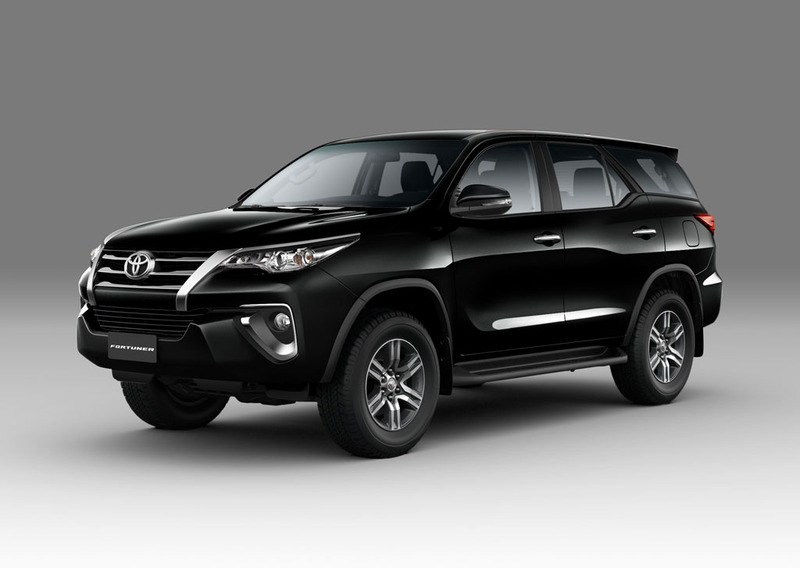 It seems like it was only yesterday Pinoy motorists were holding their breath for the arrival of the current-gen Toyota Fortuner. The hype leading up to its 2016 launch was unprecedented; the first model, after all, ushered in the era of midsize SUVs. That was more than two years ago. Since then, just about every major carmaker has released a "next-gen" SUV of its own. Well-equipped, well-designed, and well-marketed, you would think one of these competitors would've caught up with the Toyota Fortuner by now. But no one has, and it might be a while before anyone even comes close. In 2017, the Toyota Fortuner sold an impressive 39,680 units—enough to put it at the top of Toyota Motor Philippines (TMP) sales breakdown. To give you a better idea of the midsize SUV's standing in the market, it sold almost 3,000 units more last year than the Vios, the go-to model for just about every taxi-fleet and casual car owner. How does this Japanese SUV do it? For starters, Toyota hit a sweet spot with its look: A mix of premium design elements and a burly, macho vibe. While most carmakers might equate SUVs with pure intimidation and go-anywhere capability, there are hints of elegance in the Fortuner's aesthetic that you won't find in its competitors. This is most apparent with the vehicle's interior, which Toyota endowed with flowing lines, subtle coloring, and nice, upscale materials. The Fortuner struck a chord with safety-minded car buyers, too. In 2016, Toyota's midsize SUV entered the New Car Assessment Program for Southeast Asia—our region's leading crash-testing program—and drove away with a five-star safety rating for adult occupant protection. Another reason for the Fortuner's continued success is the fact that the Toyota never seemed content with resting on its laurels. Just last year, the carmaker opted to make ventilated disc brakes and reverse parking sensors standard across the entire midsize SUV's range—relatively minor upgrades, but ones which any serious car buyer will appreciate. Finally, this is a vehicle that's both relatively affordable and aspirational. Over the past decade, midsize SUVs have become the new automotive status quo, and with six variants (including one equipped with a manual transmission), a handful of reliable engines, and a variety of prices to choose from, attaining it has never been more convenient. To know more about the Toyota Fortuner, follow Toyota Motor Philippines on Facebook. This article is created by Summit Storylabs in partnership with Toyota.